Last Minute Knitted Gifts - Woolly&Co. 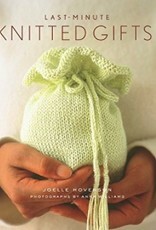 Today's knitters are chic, smart-and busy. Although they love to knit and enjoy making gifts for family and friends, they're constantly faced with the challenge of finding enough time to actually finish what they've started. Last-Minute Knitted Gifts solves this problem. Joelle Hoverson, owner of Purl, the hip knitting supply store in downtown Manhattan, has designed more than 30 fun, fresh, beautiful patterns, most of which can be made in less than ten hours—some in as little as two! 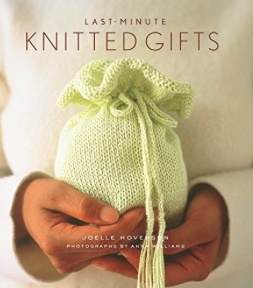 Known for her keen sense of color, Hoverson includes instructions for classic gifts like baby booties and bonnets, sweaters, and scarves, plus imaginative options like a cashmere tea cozy, a felted yoga mat bag, floor cushions, and a poncho—surely something for everyone on the gift list. And to make each present extra-special, Hoverson offers easy tips on how to incorporate knitting and other yarn embellishments into the gift wrap.